This morning as I lay in bed, I knew in my head that today was the day to rejoice a Risen Savior, but my heart just wasn’t honestly feeling it. Sadness felt like it was wrapping itself around me rather than overwhelming joy. I missed my Dad, stepmom, and my brothers as we are scattered in different states this Easter. I longed to be with them and to be a part of their lives in the day to day. I missed my mom and a dear friend who have gone to Heaven and are in the very presence of our Savior. I tried to get my head and heart to start focusing on the day ahead, but all I could see were dirty dishes, more meals to prepare, clothes to iron for church, and kids to wake up that were enjoying their beds oh so much to get chores done before leaving the house. Again, rather than drawing me closer to a heart of worship, I was honestly getting more overwhelmed and weary and my feet had not hit the floor. Sometimes in life, we have to act our way into feeling differently rather than waiting to feel like acting differently. So I pulled myself out of bed and got busy. When we pulled out of the driveway, I was teary-eyed with sadness, but the spit and polish was on and we were headed to church. My thoughts traveled back to the Easters of my childhood with Easter lilies lining the front of the church in memory of loved ones that had gone before, pictures of me and my cousin in our Easter dresses, my mom’s joy in her Risen Savior, Aunt Marie’s Easter cake in the shape of a bunny, and Uncle John’s antics when we all ran and played outside. I began to realize the sadness that I had in my children not having the fortune of sharing their Easter with extended family in the same manner as I had. Before I knew it we were pulling into the church parking lot and I felt far from prepared to worship. God felt so far away, but what I soon realized was that He was just inside the door. He actually was outside in the parking lot and He had been in our car, but I did not see Him. My eyes were searching for Him in the past and He is the Great I Am. He is ever present with us. As the worship service unfolded and my eyes started focusing once again, I was overjoyed to find my Risen Savior right in our presence. How I yearned to be right in His presence. Like the Psalm states, my soul was thirsting for Him as the deer pants by the water. God then gave me a nudge and I looked down the pew and my eyes became transfixed on my husband and children. He reminded me that while I was wanting to be near my mama, my children were creating their own Easter memories right there singing praises to God with their mama! I started counting my blessings and realized the many gifts we can sometimes lose sight of when we let the stresses of the world bury the joy of our salvation. He wanted my praise in the here and now and not the nostalgic memories of yesterday as cherished as they may be. In tribute to so many of my mama friends out there, find the blessings in the lyrics to one of my favorite mama songs. Each time I hear it, the reminders come that the true joy of our salvation can come in little people and dirty dishes. I loved this post. Thanks for sharing your heart. Love having you as a sister in the Lord! 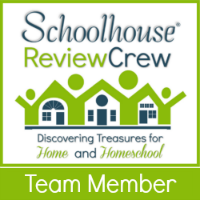 Kate Kessler recently posted..Nothing sweeter than free to a homeschool mama! I pray that your life was blessed in a special way worshiping yesterday and rejoice that He is just as alive today as He was yesterday. In addition to little people and dirty dishes, I see Him working in my life through special friends. I too am blessed to have you as a sister in Christ!